I waited in the cold morning air for the first light to fall on Capitol Peak. 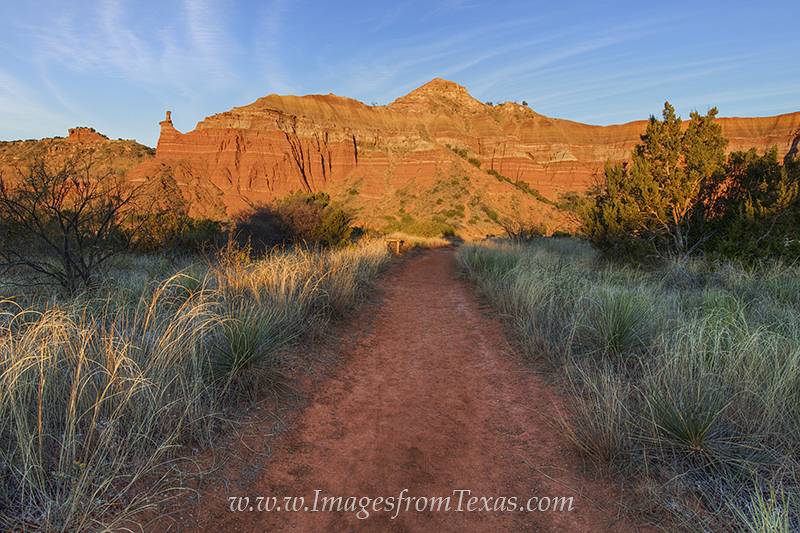 Finally, like a breath of warm air, it seemed that this famous small mountain in Palo Duro Canyon was instantly glowing with orange light. There was no transition. One minute it was muted in shadows and the next it was brilliant orange. Photo © copyright by Rob Greebon.